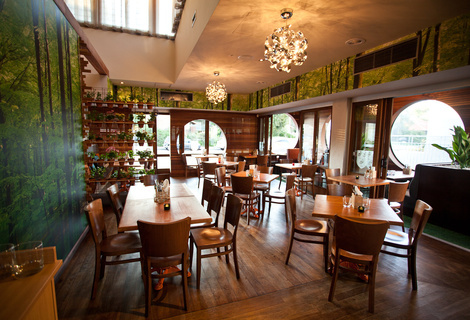 Fantastic food with a rustic atmosphere. 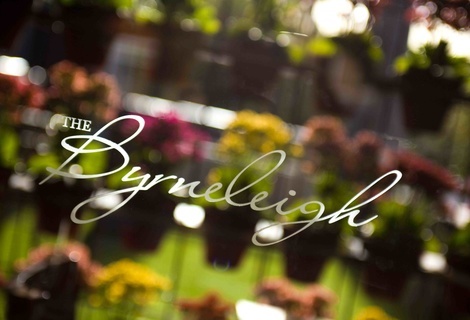 The Byrneleigh was reviewed on Saturday 13th April 2013 12:45 by Richard. Our last venture into the "GT" was nothing to write home about, with the food and atmosphere at the Captain Stirling a bit of a let down. This time we headed to the Byrneleigh, which is just around the corner from The Cap S, but might as well be in another world. We stopped into The Byrneleigh for a late lunch and a few Sunday arvo frothies. 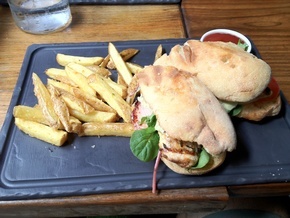 Our food looked great as it came out, neatly presented on rustic looking slate 'slabs'. Just from looking at it, you could tell that this was no ordinary pub grub. It was obvious some care had been taking in plating up the food not thrown onto the plate as it was heading out the kitchen door. The chips still had their skin on and were cooked to perfection, the chicken BLT was packed full of flavour and the chicken breast was anything but dry. Matt's fish and chips were in his words: "The best Fish and Chips I've ever had". The batter was light and not too oily and had a great beery flavour. 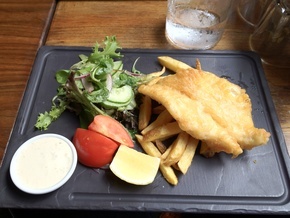 Not only was the food and service great but the prices were fairly decent for 'upmarket pub grub'. 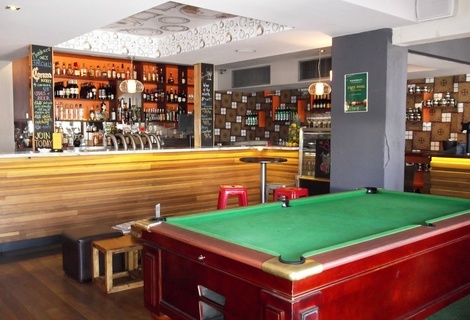 Our meals and beers came to less than $65 which, considering the quality of the food and the friendly service, is up there with some of Perth's best value for money pubs. I thought the prices were going to be quite a bit higher given the amounts of disposable income floating around the Western Suburbs. If you're after a change from standard pub grub and sub-par service, why not swing by the Byrneleigh the next time you're in the area.